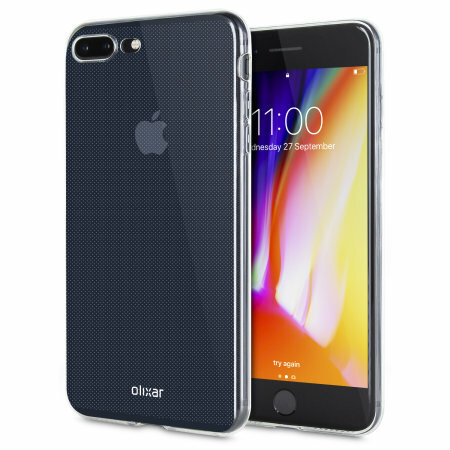 This ultra-thin 100% transparent gel case from Olixar provides a very slim fitting design, which adds no additional bulk to your iPhone 8 Plus. Offering durable protection against damage, while revealing the beauty of your phone from within. The phone case was reasonably priced from a reputable brand. Shipping took a long time but worth it. This case is for the minimalist who is not big on cases, likes the colour of their iPhone and takes care of their phone. Protection is minimal, phone is a bit slippery if you have oily hands, but good looking, sleek, and adds little bulk. The fit is a little off at first, but after adjusting it a little you get a pretty snug fit. I would clean out the inside of dust because it’s really noticeable if you slip on the case with dust on the back of your iPhone. The silicon cover is exactly what I was looking for, was easy to fit and gives excellent protection for my phone. I was kept fully informed at all points of the delivery process and the cover was exactly what I needed and was so easy to fit. Transparent, flexible, back and side cover that prevents my iPhone from sliding off non-flat surfaces.